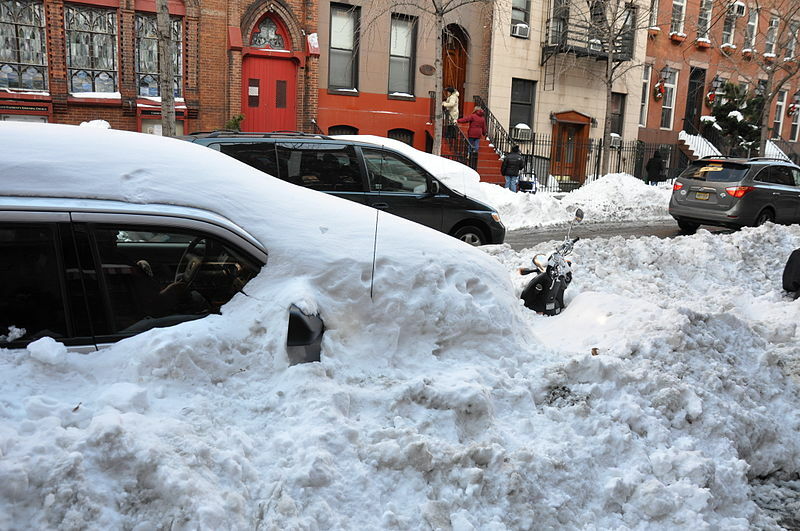 Years ago, after a snowstorm in New York City, I was standing outside my apartment and I saw an elderly woman shuffling down the street between parked cars. She was going from car-to-car, looking in between. She couldn’t have been more than four feet eight inches tall and I could barely see her knit wool cap over the mounds of snow piled up on the curb. As she moved between the cars, it appeared as though she was searching for something. She would walk to a spot, look around, shake her head, and move to the next space between cars. After she did this three times, I realized what was going on. She couldn’t find a place to get from the street to the sidewalk. The snow was piled up too high and she was too small and not nearly nimble enough to hop over. Instinctively – actually reflexively – I walked toward her and reached out my hand. “Come. Let me help you.” I said without even thinking. She looked shocked. Maybe years of living in a tough city had hardened her. Maybe she was surprised someone was watching her look for a place to cross. Maybe she just wasn’t expecting a handsome, young man to appear in front of her at that moment (that’s my favorite explanation). After a brief reflective pause, she nodded, smiled, took my hand, and climbed over the snow mound onto the sidewalk. She stomped the snow off her feet, thanked me, and moved on. First: My instinct. I moved toward her without even thinking about it. I saw someone who needed assistance and moved. Second: The look of surprise on the woman’s face when I extended my hand. Our mental programming is amazing. We are born predisposed to help. It is natural. We see someone in distress and we want, no, we need to do something. It takes actual effort to NOT assist someone in need. But because of the cynical nature of the world, and our exposure to negativity, we are shocked when someone comes to help us. Last week a Category 4 Hurricane made landfall in Florida. Hurricane Irma devastated the Florida Keys. As I write this, there is a massive effort to help people feeling the impact of this disaster. Average people – Americans, Floridians, and people from all over the world, are giving time, talent, and treasure toward the recovery effort. My neighborhood (I live 120 miles north of The Keys) was spared any real damage. We lost power for a few days and had some trees knocked down. Even with the minor inconvenience in my area, the outpouring of support among my neighbors was tremendous. People helped each other cut trees and remove debris. Families with generators invited others in to share a meal in front of a fan. Folks with extra gasoline, propane, or water gave of their resources not concerned about scarcity. It takes adversity to bring out the best of our nature. Each day you sit next to someone who needs help. It could be a friend, a co-worker, or a client. He might be struggling with a personal problem, low on cash to pay his bills, or struggling with an illness or addiction. You’ve been in this situation yourself. It is impossible to recognize when these people need us because they are not shuffling between cars looking for a place to cross the street. They are not in a designated disaster zone with debris surrounding them. The only way we can allow our natural instinct to take over – the only way we can offer assistance – is if they ask us for help. 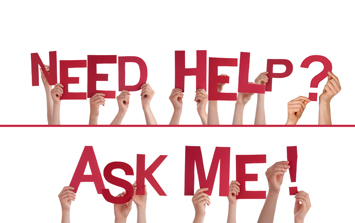 If you need assistance with a personal problem – reach out. People want to help you. It’s human nature. If your problem is business-related, you MUST reach out. Some of us have made it our life’s work, our mission, to help people solve business problems. We not only WANT to help you, we NEED to help you. Never be ashamed, embarrassed, or shy when you need assistance. Reach out. You’ll be surprised at who reaches back.